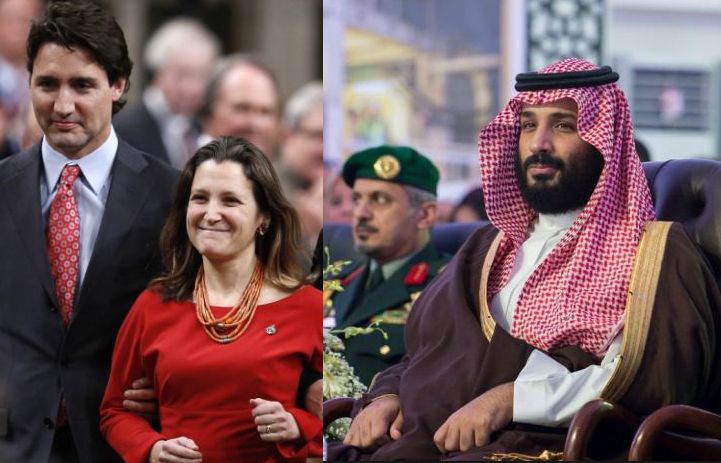 A series of twitter messages both by the Foreign Minister of Canada Ms Chrystia Freeland herself and her department criticizing the Saudi Arabian government over their human rights record and arrest of various activists has led to a serious diplomatic rift. As a response, the Saudi government has expelled the Canadian ambassador, urged their own ambassador in Canada to return to Riyadh and froze all future trade with the north American nation. Related coverage: <a href="https://thegoldwater.com/news/30068-Canada-Foreign-Minister-Freeland-On-US-Tariffs-We-will-Not-Back-Down-Video">Foreign Minister Freeland On US Tariffs: We Will Not Back Down</a>. Under the leadership of Crown Prince Mohammed bin Salman, Saudi Arabia, still one of the most conservative states in the Middle East had earlier this year finally allowed driving for women and opened cinema’s to the public. Many in the country are hailing this new wave of progress and hope the Crown Prince will do more to further improve the situation of Saudi women. Although most Western leaders do behind closed doors not agree with the Saudi human rights record, they normally do not openly criticize the major gulf state which is still the world’s largest producer of oil. Public data shows that Saudi Arabia invested some $6 billion in Canadian businesses since 2006.